These days, carving and mogul skiing are popular, but isn't it also nice to sit back and watch people skiing while drinking a beer on the terrace and working out the best time to enjoy a clear run? In Sugadaira Kogen, there are three areas – Davos, Taro and Pine Beak – and there are 12 slopes in total. As you can guess from the link to the Swiss resort of the same name, Davos is a ski area that is very wide and has easy skiing for beginners. For advanced skiers, how about the Oumatsuyama Challenge Course in Pine Beak? The maximum gradient is a steep 36 degrees! We encourage people confident in their ability to take on the challenge. 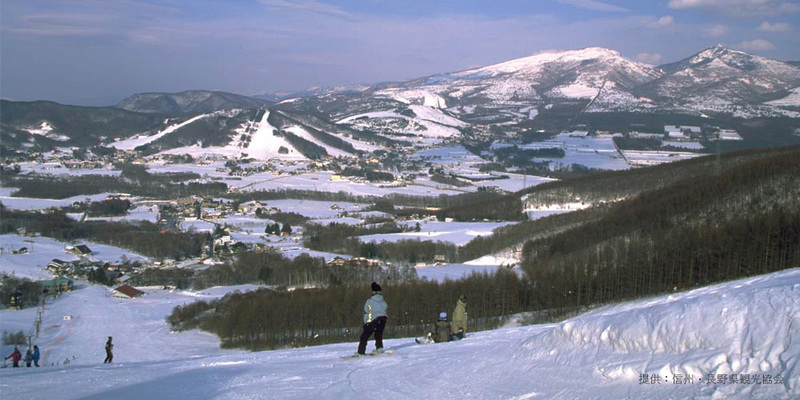 There are parks in three areas of Sugadaira Kogen. For the air challenge there is Schneider Park, for surfers who love to weave there is Onami-Kaido in Omote-Davos, and for those with a need for speed there is the Omatsu ski/snowboard cross course. Please enjoy snowboarding to your heart's content on the substantial slopes of Sugadaira. 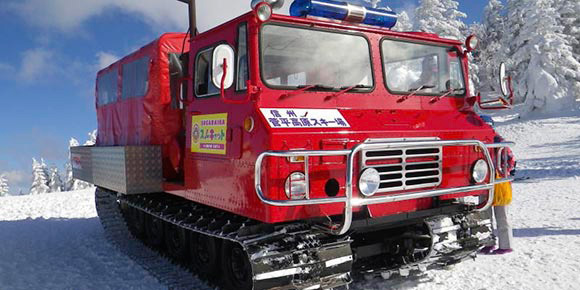 At the Oku-Davos Snow Park, Snow Cat tours are popular now. "Snow Cat" is a "snow caterpillar vehicle" that goes from the station at the top of the No.1 Oku-Davos triple lift to Mt. Nekodake. The scenery of the magnificent Nekodake seen from a snow car is superb! In the vicinity of the summit, there is also the rarely seen "tree ice". You will be overwhelmed by the kind of mysterious scenery you can never see at ground level. For details, please visit the website of "Oku-Davos Snow Park"
We love to see families smiling and making memories. 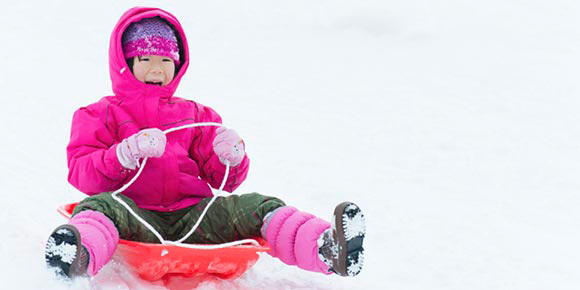 Playing in the snow, such as sledding and snowball fights, we help you encounter the kind of snow that can't be experienced in the city, and help you share many smiles and fun memories.